"Wine Spectator" has rated the wine "Cantina Terlano-Kellerei Terlan Gries Lagrein Alto Adige Riserva, Trentino-Alto Adige, Italy" from the vintage 2012 on 29.02.2016 with 90 of 100 points. "Falstaff Magazin" has rated the wine "Cantina Terlano-Kellerei Terlan Gries Lagrein Alto Adige Riserva, Trentino-Alto Adige, Italy" from the vintage 2009 on 12.10.2012 with 90 of 100 points. "Wine & Spirits Magazine" has rated the wine "Cantina Terlano-Kellerei Terlan Gries Lagrein Alto Adige Riserva, Trentino-Alto Adige, Italy" from the vintage 2008 on 01.08.2012 with 92 of 100 points. "Wine Spectator" has rated the wine "Cantina Terlano-Kellerei Terlan Gries Lagrein Alto Adige Riserva, Trentino-Alto Adige, Italy" from the vintage 2008 on 15.10.2011 with 93 of 100 points. "Vinum Wine Magazine" has rated the wine "Cantina Terlano-Kellerei Terlan Gries Lagrein Alto Adige Riserva, Trentino-Alto Adige, Italy" from the vintage 2008 on 01.05.2011 with 15 of 20 points. "Vinous Antonio Galloni" has rated the wine "Cantina Terlano-Kellerei Terlan Gries Lagrein Alto Adige Riserva, Trentino-Alto Adige, Italy" from the vintage 2006 on 01.10.2009 with 87 of 100 points. "Wine Enthusiast" has rated the wine "Cantina Terlano-Kellerei Terlan Gries Lagrein Alto Adige Riserva, Trentino-Alto Adige, Italy" from the vintage 2004 on 05.01.2009 with 88 of 100 points. "Wine & Spirits Magazine" has rated the wine "Cantina Terlano-Kellerei Terlan Gries Lagrein Alto Adige Riserva, Trentino-Alto Adige, Italy" from the vintage 2004 on 01.06.2008 with 92 of 100 points. "Wine Spectator" has rated the wine "Cantina Terlano-Kellerei Terlan Gries Lagrein Alto Adige Riserva, Trentino-Alto Adige, Italy" from the vintage 2003 on 30.06.2007 with 90 of 100 points. "Vinum Wine Magazine" has rated the wine "Cantina Terlano-Kellerei Terlan Gries Lagrein Alto Adige Riserva, Trentino-Alto Adige, Italy" from the vintage 2002 on 01.04.2006 with 15 of 20 points. 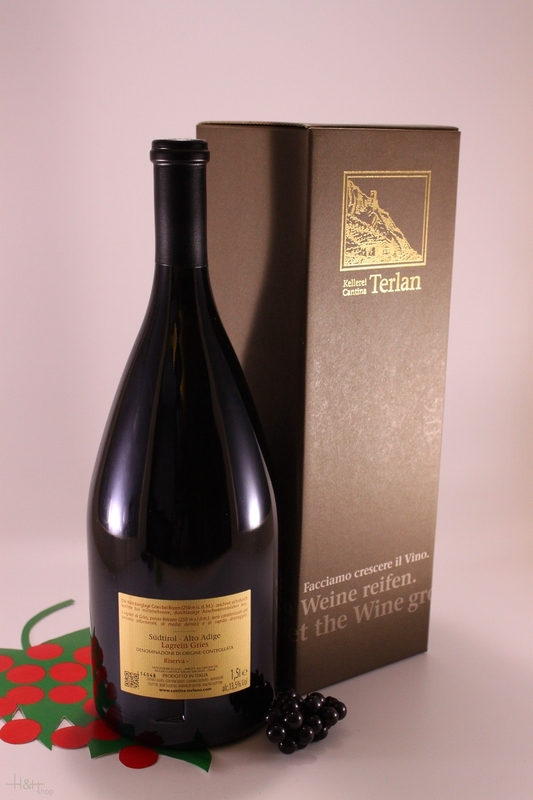 "Vinum Wine Magazine" has rated the wine "Cantina Terlano-Kellerei Terlan Gries Lagrein Alto Adige Riserva, Trentino-Alto Adige, Italy" from the vintage 2000 on 01.03.2004 with 15 of 20 points. "Wine & Spirits Magazine" has rated the wine "Cantina Terlano-Kellerei Terlan Gries Lagrein Alto Adige Riserva, Trentino-Alto Adige, Italy" from the vintage 1999 on 01.10.2002 with 88 of 100 points. 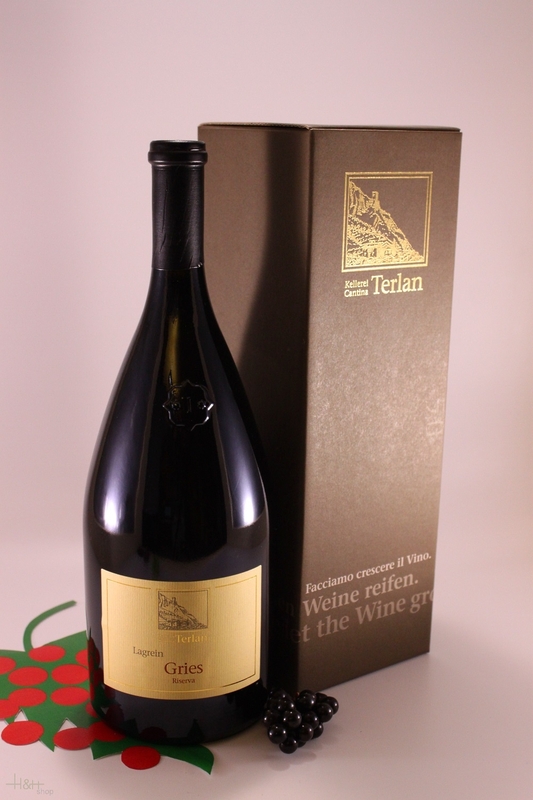 "Stephen Tanzer" has rated the wine "Cantina Terlano-Kellerei Terlan Gries Lagrein Alto Adige Riserva, Trentino-Alto Adige, Italy" from the vintage 2000 with 92 of 100 points. "CellarTracker" has rated the wine "Cantina Terlano-Kellerei Terlan Gries Lagrein Alto Adige Riserva, Trentino-Alto Adige, Italy" from the vintage 2010 with 89 of 100 points. "CellarTracker" has rated the wine "Cantina Terlano-Kellerei Terlan Gries Lagrein Alto Adige Riserva, Trentino-Alto Adige, Italy" from the vintage 2012 with 87 of 100 points. "CellarTracker" has rated the wine "Cantina Terlano-Kellerei Terlan Gries Lagrein Alto Adige Riserva, Trentino-Alto Adige, Italy" from the vintage 2007 with 86 of 100 points. Kerner - 2018 - cantina Eisacktal Alto Adige 13,95 EUR / 18,60 €/lt. Cabernet Sauvigon Campaner Riserva - 2016 - Winery Caldaro 17,45 EUR / 23,27 €/lt. Merlot Alto Adige - 2017 - Cantina Termeno 13,50 EUR / 18,00 €/lt. Lagrein South Tyrol Riserva - 2016 - cantina H. Lun 20,90 EUR / 27,87 €/lt.